A lot of fuel is expended too when these bottles of water are transported each day to super markets, homes and office premises. What the majority of us fail to realize is that, the bottled water is nothing more than just plain tap water. Hence, when we drink out of bottled water, we are ingesting ourselves into even more chemicals from these plastic bottles. The best container to drink out of is glass and when we choose water stored in plastic bottles, we are in fact ingesting these chemicals into our bodies- BPA or bisphenol is an estrogen mimicking chemical. 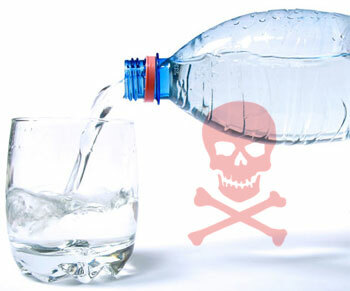 It brings about health disorders like learning and behavioral problems, altered immune system function, fertility problems, and brings on early onset of puberty in girls, decreased sperm count, prostatic and breast cancer, diabetes and obesity are other disorders brought about by drinking from plastic bottles.